Although today’s work projects prevented me from honoring this day as I should, Wolf Howling did not forget, and he writes about the moment he fully comprehended, not just the nature of Nazi evil, but the face of evil generally. A couple more things. First, a Holocaust remembrance about people I knew when I was growing up, all of whom are long dead now. Second, a post about the fact that, even the midst of death, amongst the Jews there was life. My Leftist friends cannot understand why, if Iran is going to go nuclear anyway, I’m opposed to Obama sitting down with them, signing on the dotted line, and pretending America is Iran’s new BFF in the hopes that Iran will be so taken by this charm offensive, it suddenly gives up on its genocidal goals. 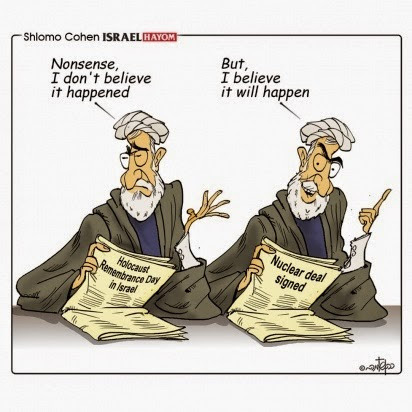 I’m offended, deeply, because if Iran is going to get the bomb anyway, it should be done in the face of America’s strident, unyielding opposition, with America doing everything in its power to stop Iran and help protect Israel. We should never, never get in bed with genocidal regimes. No political show ever justifies that. I didn’t know that Arthur Koestler, though a socialist, was a socialist along the lines of George Orwell, who was willing to be honest about the totalitarian instincts inherent in socialism. 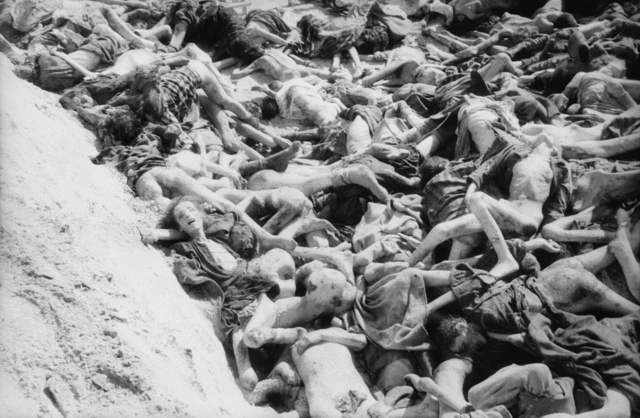 Neo-Neocon has a fascinating excerpt from Koestler’s Cassandra-like lament about the Nazis — and the blind eye that the rest of the world turned to acts too horrible for them to acknowledge could be real. Prime Minister Netanyahu’s office has released the English transcript of his remarks on Yom Hashoah. It is worthwhile reading. Unlike the idiots and antisemites in America and Europe, Bibi remembers the past and refuses to go supine so as to create a Holocaust redux. Given a place in which to share their experiences in America’s Leftist-run academies of “higher education,” more than 350,000 conservative college and university students viewed or weighed in on the hashtag #MyLiberalCampus. These youngsters seem to be aware of the irony behind the word “liberal” in that hashtag, since their tales of woe include variations on startlingly illiberal behavior. We opponents of gay marriage (not of gays or civil unions, but of gay marriage) said that, once gay marriage cleared the gates, polygamy wouldn’t be far behind. This is not to say that gay marriage and polygamy are the same thing. It is to say, though, that once you erase marriage’s historic meaning in Western culture — one man and one woman — there are no further limits one can reasonably place upon it. Perhaps someone in academia is finally climbing atop the barricades and hollering “Stop.” Brett Sokolow, director of the Association of Title IX Administrators, has sent a mailing out to similarly situated Title IX administrators saying that they’re violating Title IX, which requires even-handedness in dealings involving the sexes on college campuses. It turns out that, whenever two students engage in a drunken coupling, the school blames the man. Sokolow suggests that, if both students are equally blotto, neither is to blame. Sanctions should arise only if the complaining student was incoherently blotto and the accused can be proven to have had evil on his (or her) mind. Please enjoy the exquisite irony: Leftist Media Matters is opposing the unionization of its own employees. A friend of mine who feeds me a lot of the more interesting information you read in my posts tipped me off last week to the assault that the Leftist thought police are waging in the land of Science Fiction writing. I meant to write on the subject myself, but kept getting sidetracked. Now, I don’t need to, since Glenn Reynolds has addressed precisely that issue. This one is for the lawyers, or for the ones who have wisely decided not to become lawyers and, if possible, never to come within spitting distance of a lawsuit. The DiploMad writes about the known fact that, in America, being a Democrat, especially a highly placed Democrat, means never having to say you’re sorry or lose your job, no matter how abysmal your failures (or how many people have died on your watch). If you’re wondering why it’s a terrible idea to have the government manage anything beyond traditional government responsibilities (the military, waging war, providing basic infrastructure, etc. ), this story about Medicare fraud may help you understand government’s extreme limitations. 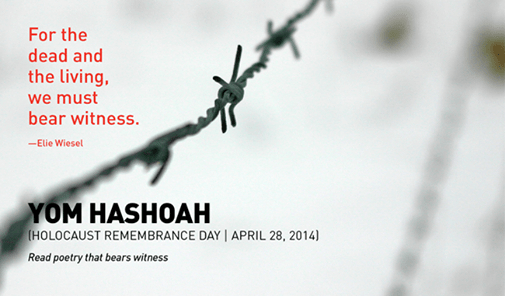 Today is Erev Yom Hashoah, the eve of Holocaust Remembrance Day. In Israel, it is a poignant moment honored by every citizen (or at least, every Jewish citizen). In the rest of the world, it is a moment to be forgotten, ignored, or denied. Back in the 1930s, no one could believe that the Germans, considered the most civilized and advanced of all Europeans, could become so bestial. 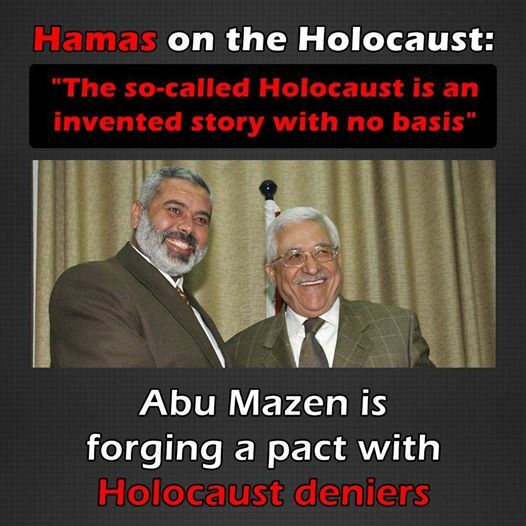 The tragedy today is that, when we look at the Islamists, we’ve already seen how bestial they are, and still nobody believes their oft repeated goal of reinstating the Holocaust. Long ago, Tacitus said “Proprium humani ingenii est odisse quem laeseris. 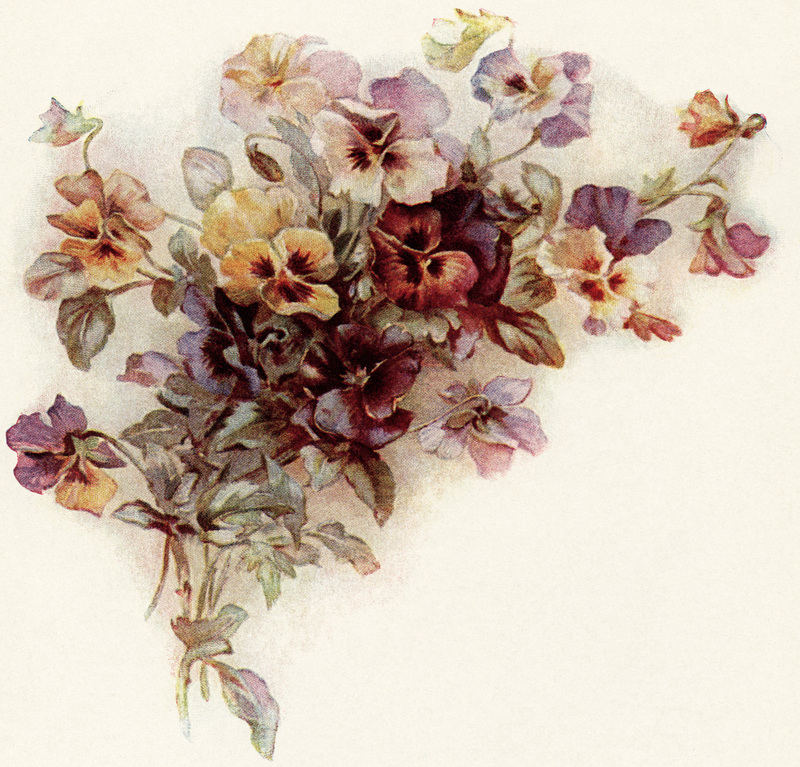 (It is a principle of human nature to hate those whom you have injured. 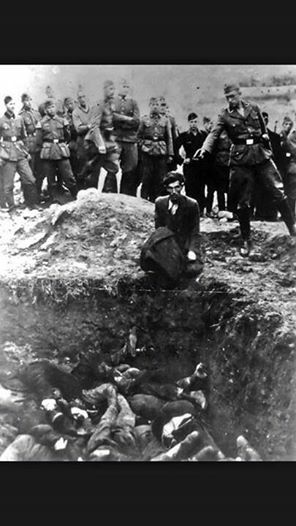 )” Or as people have more recently noted, the Europeans will never forgive the Jews for Auschwitz. 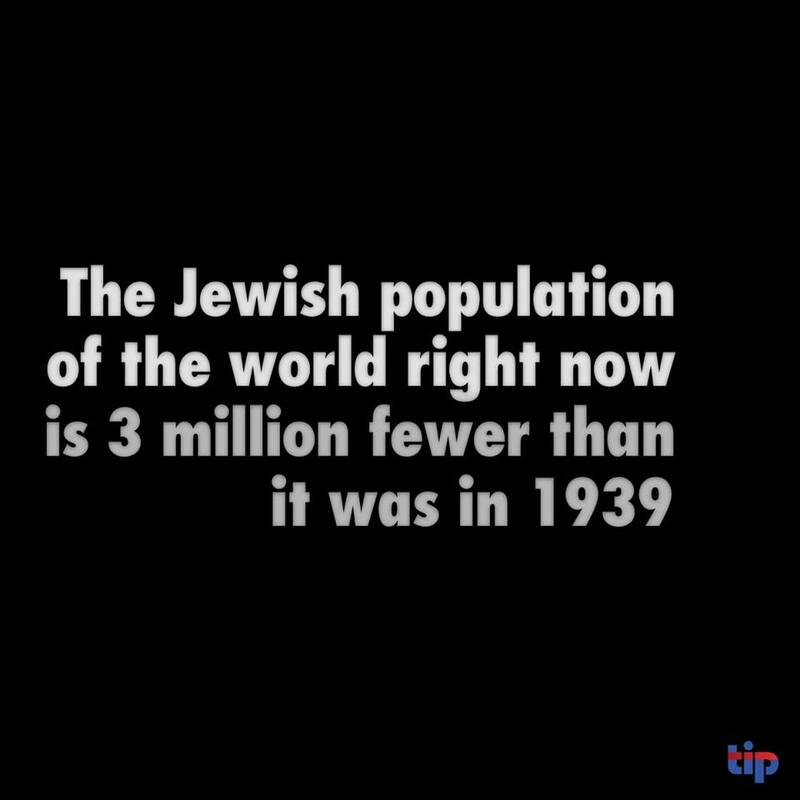 UPDATED: Thanks to Sadie for reminding me that I wanted to include a video showing just how strongly Israelis feel about Yom Hashoah’s two minutes of silence. Can you imagine Americans coming to a halt this way? 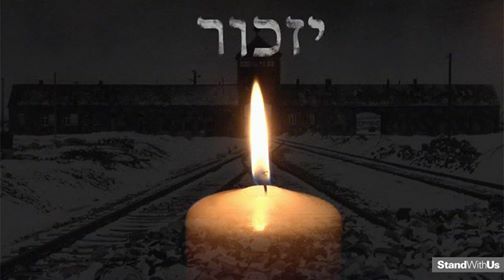 Today is Holocaust Remembrance Day, a day that was once a memorial day, a day of looking back, but is now a chilling tocsin of what the future might hold. Everywhere in the world, antisemitism is on the rise. Nor is this the cold, clinical antisemitism that once characterized England — the kind where people would sniff at someone and say “Oh, he’s a Jew.” Jews might be socially ostracized and subject to petty humiliations, but they were not tortured, killed, or denied civil rights by their own government. By the way, David Goldman (Spengler) has the good news, which is that Jew hating-societies are dying off, because off low birth rates. Jews stand for life (“I say to you, choose life“), so it’s not surprising that these cultures embrace death, their own and other’s. The problem, of course, is that these dying cultures can still cause a lot of trouble as they grapple with their own convulsive death throes.